I have always enjoyed creating handmade gifts for the holidays. There's just something special about someone using their talents to create something especially for you. My daughter is catching onto my holiday handmade tradition and has asked to make some gifts for her school friends. 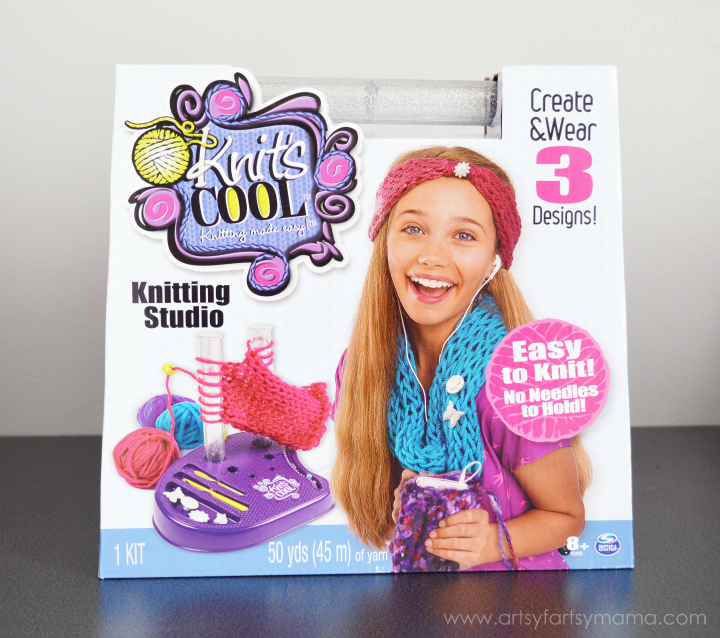 Cool Brands creative-based kits are a fun and affordable way for kids ages 6 and up to learn new skills to create handmade gifts that they can be proud of. 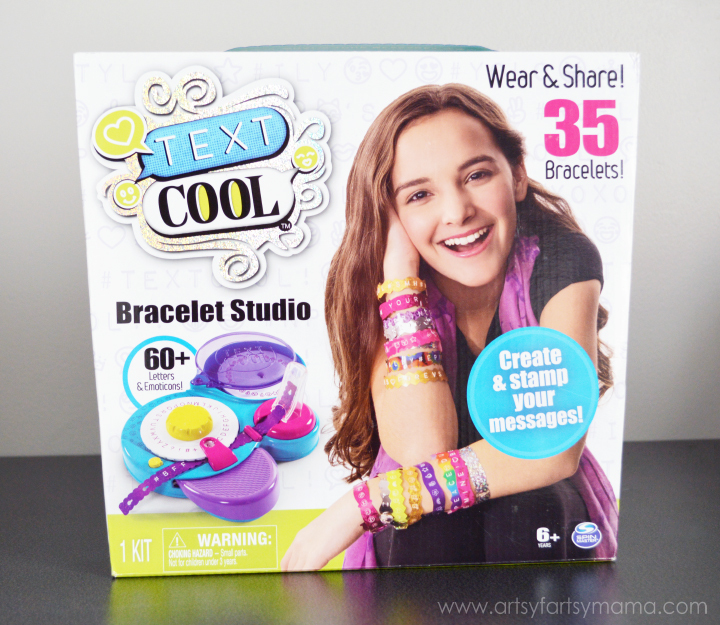 The first kit I want to tell you about is the Text Cool™ Bracelet Studio. With the Bracelet Studio, you can turn texts into a fashion statement you can wear on your wrists! 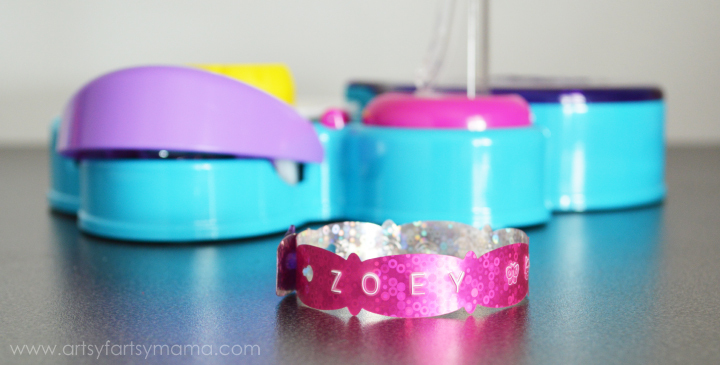 Make custom message bracelets by stamping letters AND emoticons!! It is so much fun to use that I might have made a bracelet or two for myself... This kit retails for $24.99 and is available at Target, Walmart, Amazon and Toys R’ Us. 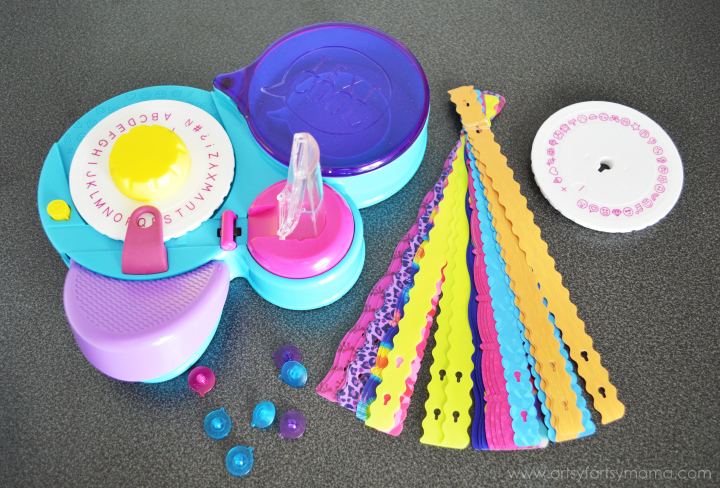 The kit comes with 35 bracelet bands in multiple colors, 35 clasps, two stamping wheels with over 60 letters and emoticons, and the base which includes storage compartment for the stamping wheels when you aren't using them. Was anyone else obsessed with their label makers as a kid?? This works the same way. 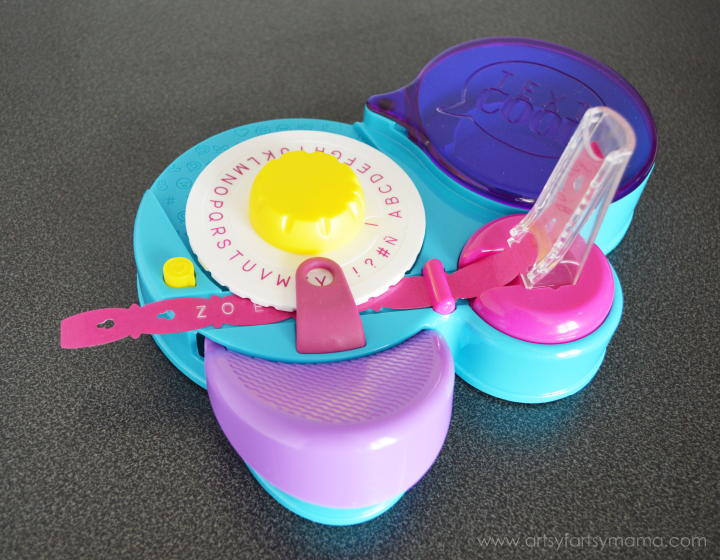 Place the bracelet into the base, then install the wheel (alphabet or emoticon). Now all you have to do is stamp your message and add emoticons to your heart's desire!! Once you're done, pull the bracelet out of the base and add a clasp. Now the bracelet is done and your child can wrap them up to give to their friends and family! After finding a craft book at the library, my daughter has been asking to learn to knit. 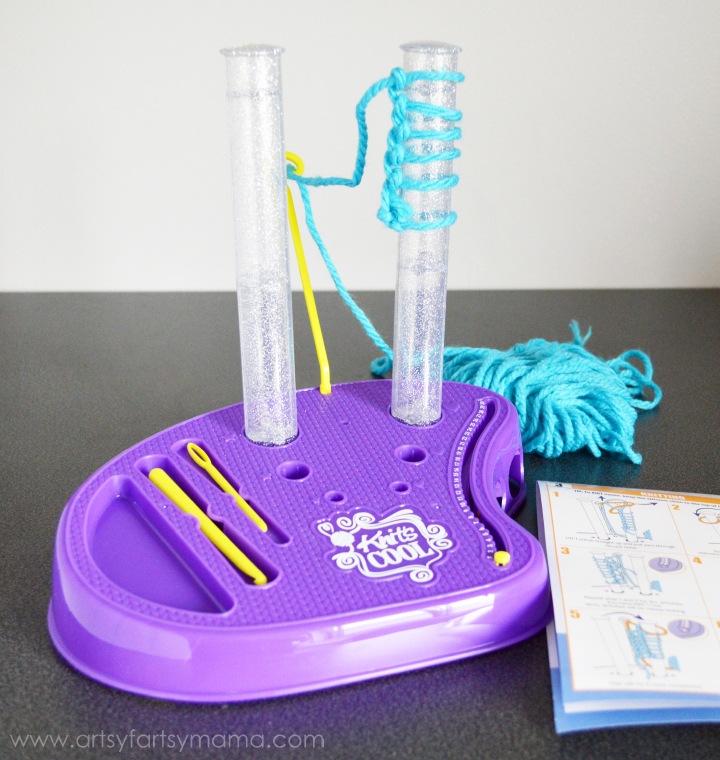 Knitting isn't really my forte, but the Knit's Cool™ Knitting Studio is an amazing new tool that makes learning to knit super easy. You can easily design your favorite fashions like scarves, boho headbands, cute purses and more without having to hold any needles! This kit also retails for $24.99 and is available at all major retailers. 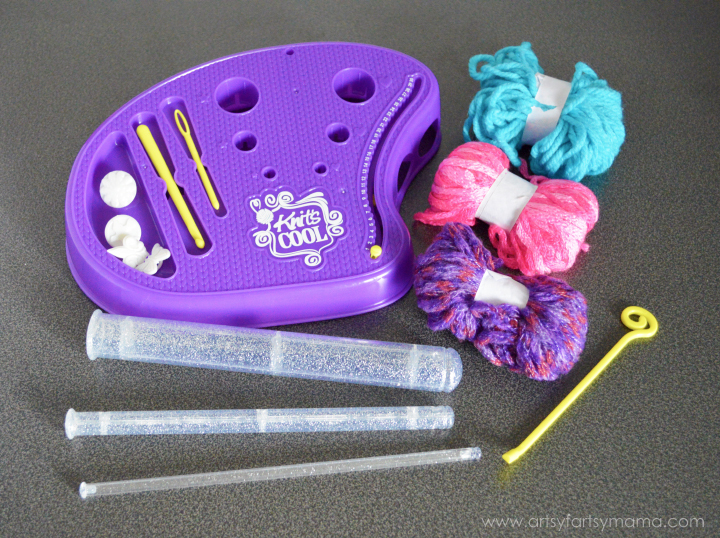 In the kit, you get 3 different size knitting posts, 60 yards of yarn in 3 different colors, a sewing needle, 4 buttons/charms to decorate your creations, and the base also works as an accessory holder! There are instructions also included to guide you through 3 projects, and you can also watch some how-to videos online to learn to create more fashionable accessories! Since neither of us knew what we were doing, the kit instructions sure came in handy and were easy to follow. Honestly, our first scarf took a bit of time to finish, but it was a lot of fun. My daughter can't wait to pick out more yarn for making scarves and headbands in the next few weeks! Once you have your handmade gifts finished, you need to wrap them up! I love adding more of a handmade touch to gifts by using brown paper or tissue paper to wrap up the boxes, then tying them up with colorful yarn or twine. We have also been having fun making pom poms to add to our gift wrapping. They are so easy to make and look adorable!! 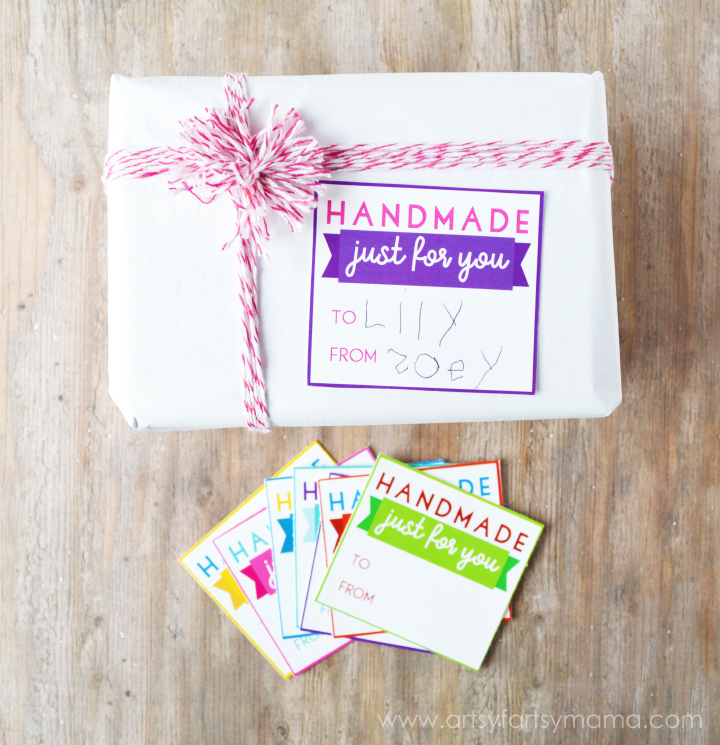 Of course, you'll need a gift tag on your gifts! 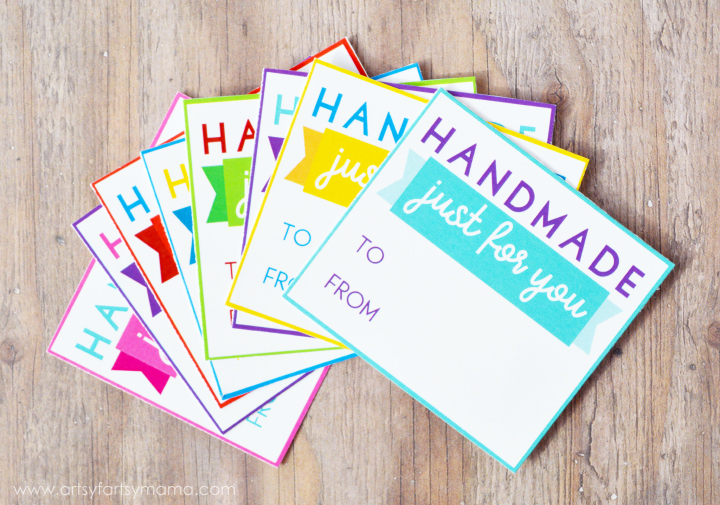 To share with your friends and family that their gifts were specially handmade for them, I've designed some sweet, free printable handmade gift tags for you to print and attach to your gifts! There are 8 different color combinations that I hope you love. These little kits are fabulous! I know so many little girls who I want to get them for Christmas.